TRI 201 is for the triathlete ready to tackle open water swimming at an Olympic distance! This 16 week program is geared towards the triathlete who has already completed a sprint distance triathlon. We cover the essentials of any triathlon such as swim technique, cycling safety and gearing, run technique, transition, nutrition, injury prevention, stretching and more. We also dive into more specific information for open water swimming, race day fueling, post-race nutrition, further transition techniques, longer rides, strengthening essentials and recovery. It will be a complete training program developed by experienced and certified coaches to guide you to the goal of an Olympic distance triathlon (1.5 km swim, 40 km bike, 10 km run). Our goal race is Rocketman Olympic Triathlon on August 25, 2019. Best of all, this is a fun and welcoming environment to fine tune your triathlon performance. GET WHAT YOU CAME FOR! 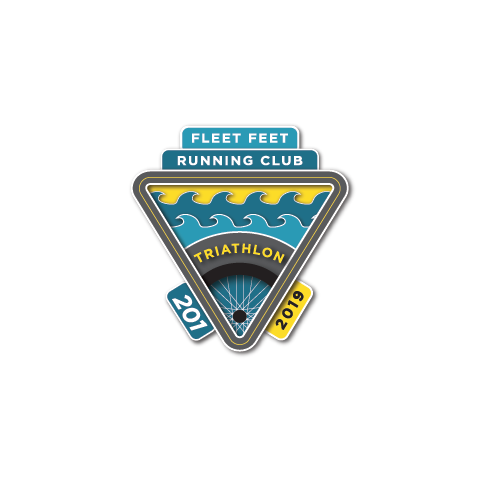 A graduate of 2018's Tri 101 program or have completed a sprint triathlon. You must be able to currently run a 5k, swim freestyle stroke for 400 yards continuously and bike 10 miles. You must be at least 16 years of age and understand traffic laws. Also, you must be a US citizen, due to training sessions that access Redstone Arsenal. It is imperative that you meet these minimum requirements! Bike: There are benefits to having a road bike or triathlon bike vs. mountain bike, but if you have a properly working & well-fitting bike in your garage, that is all you need!